Conclusion: Because the mother of the F2 progeny has genotype s+s, all the F2 snails are dextral. 5.17 In genetic maternal effect, the genotype of the maternal parent determines the phenotype of the offspring. 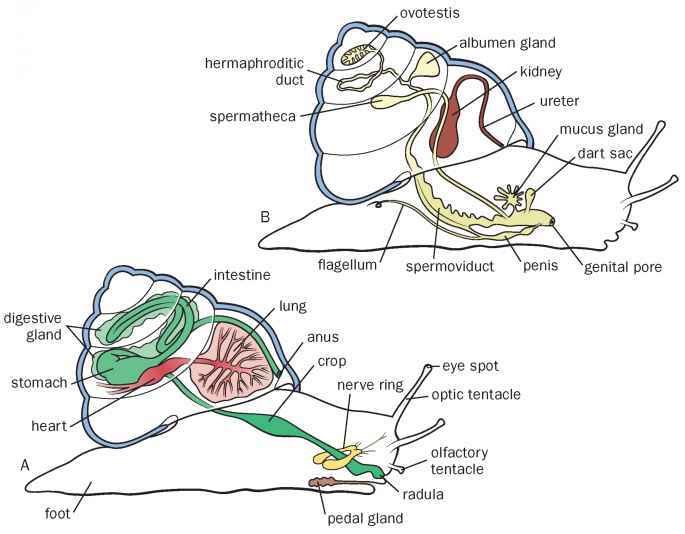 Shell coiling in snails is a trait that exhibits genetic maternal effect. Notice that the phenotype of the progeny is not necessarily the same as the phenotype of the mother, because the progeny's phenotype is determined by the mother's genotype, not her phenotype. Neither the male parent's nor the offspring's own genotype has any role in the offspring's phenotype. A male does influence the phenotype of the F2 generation; by contributing to the genotypes of his daughters, he affects the phenotypes of their offspring. Genes that exhibit genetic maternal effect are therefore transmitted through males to future generations. In contrast, the genes that exhibit cytoplasmic inheritance are always transmitted through only one of the sexes (usually the female).